The early developmental stages are crucial academically but also social & emotionally. Main Street School knows that "partnering" up w/ parents & community to develop the most prepared & motivated students is the ultimate goal. Each month, we hyper-focus on a character trait to strategically highlight & reinforce. 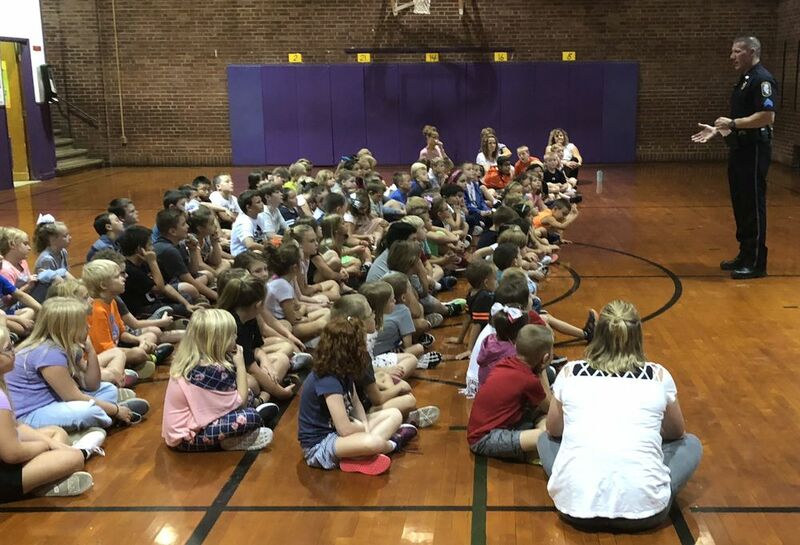 We begin in August w/ “Self-Control.” We invited a local Community-Leader to speak to the students & “kick-off” the Character Trait. The goal is to define the trait & what it looks like, pass on some wisdom w/ personal anecdotes of development & how utilized in leadership roles, & empower students to reflect & consider personal action. 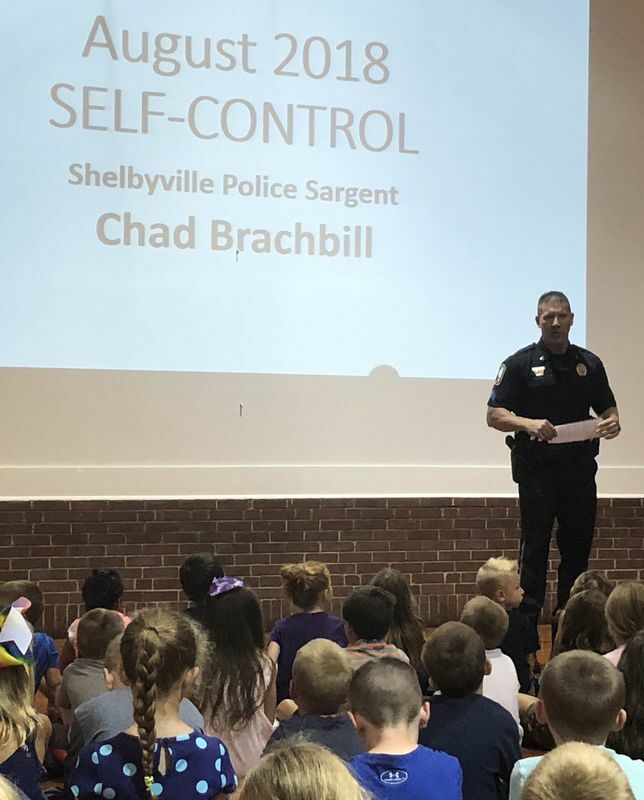 Shelbyville Police Sergeant, Chad Brachbill, addressed all (1st – 3rd) grade students w/ (2) sessions on Monday, August 20th. 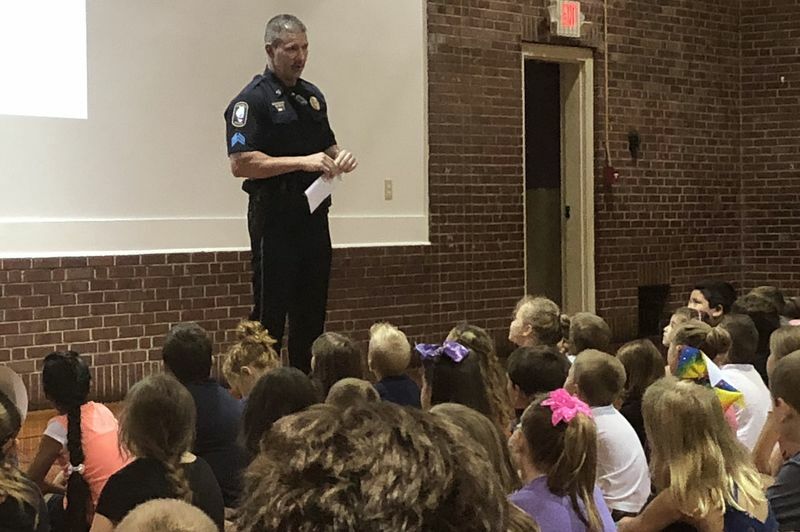 He began w/ the Merriam-Webster definition: “being able to resist temptations & avoid acting on impulse.” Then, he explained that more clearly for the student audience w/ common examples. Much of the focus was also on setting goals & kindness w/ a strong anti-bullying message. “It is cool to be kind,” he said. He described three types of bullying: verbal, social & physical & he empowered students to not tolerate it & respond effectively. 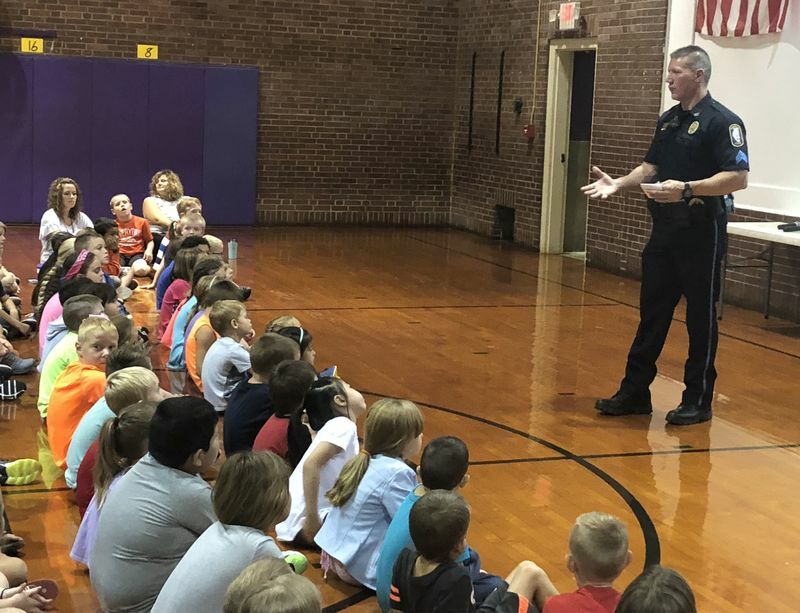 Of course, Sergeant Brachbill had many questions about handcuffs & “bad guys” too but he reiterated what he felt his role as a police officer is in the community & the value of Self-Control. I closed w/ a message about how we will all experience negative feelings. We are surely destined to feel embarrassment, frustration, jealousy, etc. & none of these feel good. When I have reacted while in the “red zone,” I have done things I regret such as saying things I did not mean. Regret doesn’t feel good either. A young man or woman is in control of their body & their emotions. Emotional regulation is important which goes w/ my promise that our students will learn more than reading comprehension strategies and math facts; they will learn about themselves.